PCKeeper is a digital Swiss Army knife for your computer; a complete bundle of tools to keep your computer safe and working at full performance. 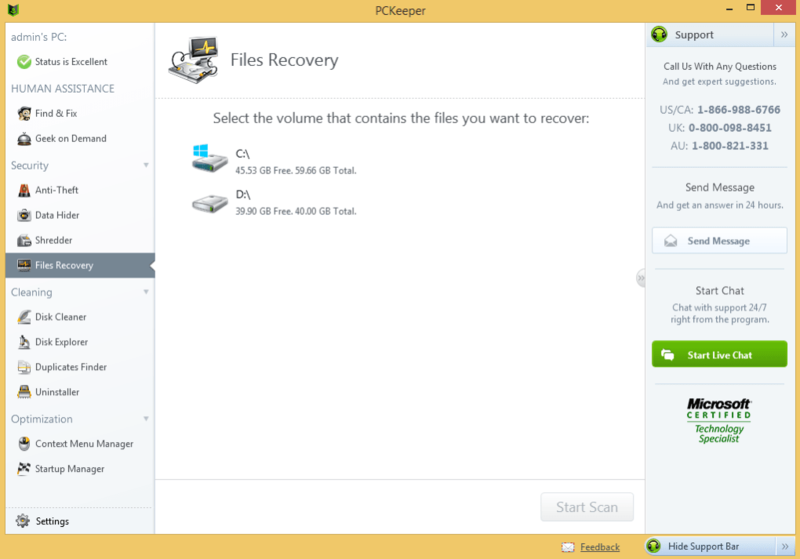 The interface in PCKeeper is clean and and easy to use. Each element in the program has a nicely designed icon. Tools are divided into Utilities and Services, and there’s also a Favorites section where you can store the tools you use most frequently. 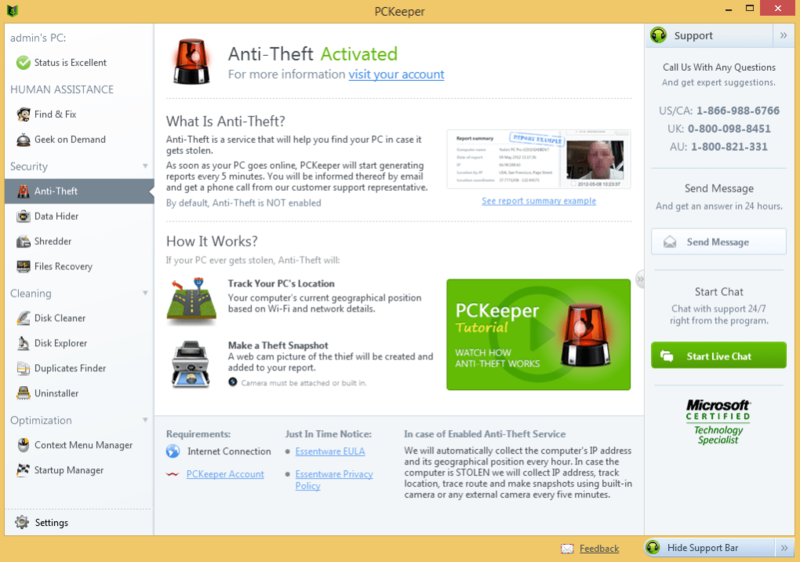 PCKeeper also includes an antivirus, though it’s automatically disabled if you already have one. 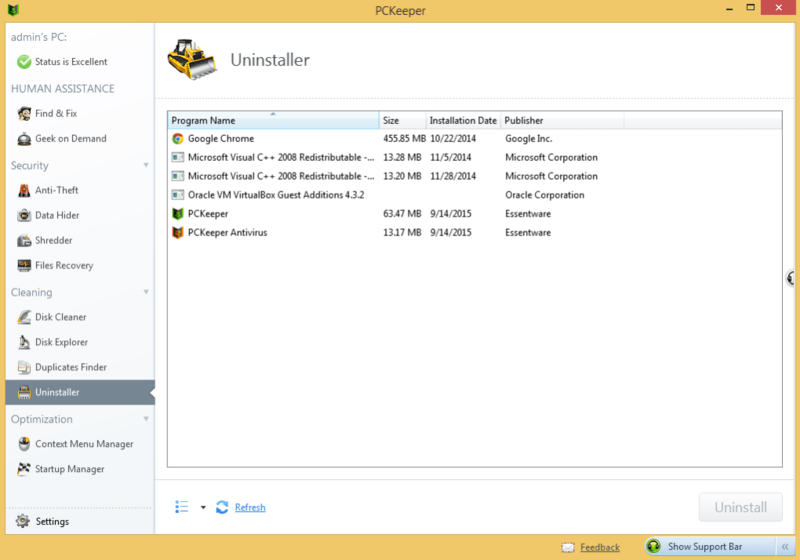 Among the utilities included in PCKeeper, you’ll find a disk checker and defragmenter, a file shredder, an app uninstaller, a file cleaner, a duplicates finder and a start-up manager. 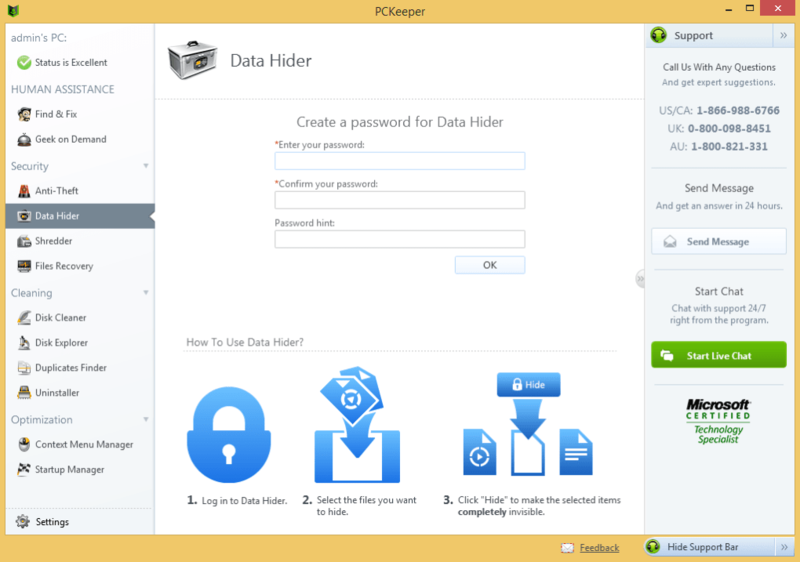 The Services tab, on the other side, includes Anti-Theft, a tool to locate lost or stolen computers; ZeoDisk, a 3GB free online file storage service; and Geek on Demand, a computer support service. On the downside, both the first and the last of these PCKeeper services require you to create a user account on the ZeoBIT website, and the online storage is not available yet. Also, the program doesn’t include any documentation. Despite minor problems, PCKeeper is still a great tool for computer optimization and maintenance. PCKeeper Live scans your PC system to clean and optimize it with 13 utilities. PCKeeper Live introduces a brand new approach to your PC system optimization, offering a blend of cold precision of a software product with care of a real human expert.PCKeeper Live contains a bundle of useful utilities for your computer: automatic hard drive cleanup, file duplicates finder, security tools for personal files, startup time optimizer, anti-theft protection for laptops, and more. Even the most advanced optimization software cannot replace a real human expert. That's why the most groundbreaking feature of PCKeeper is Find & Fix, which brings real human analysis of your computer problems. This revolutionary feature implies cooperation between a user and technical specialist. PCKeeper Live scans your PC system, and generates a report on detected PC problems, which is sent to remote specialists for further research. They analyze your PC scan results in the report and within 24 hours send an optimizing solution back to your computer. 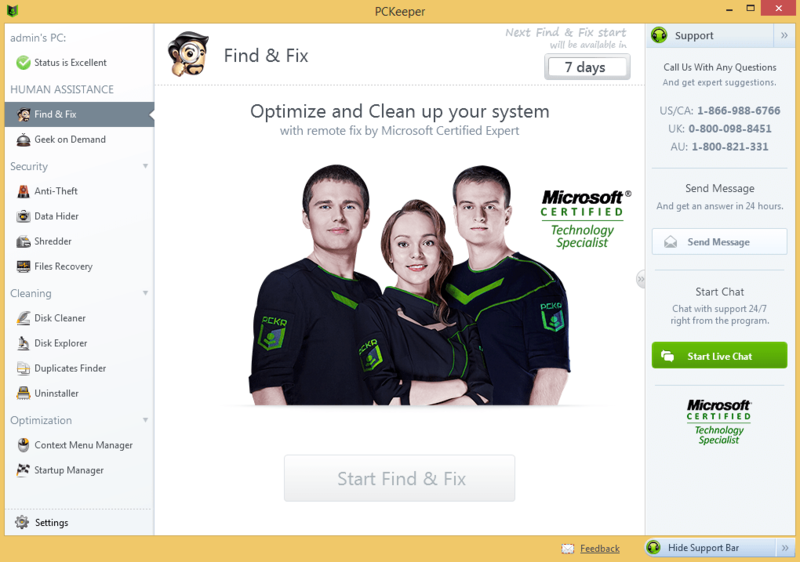 All you need to do is to apply this solution, designed specifically for your PC. One click, and your computer is optimized. 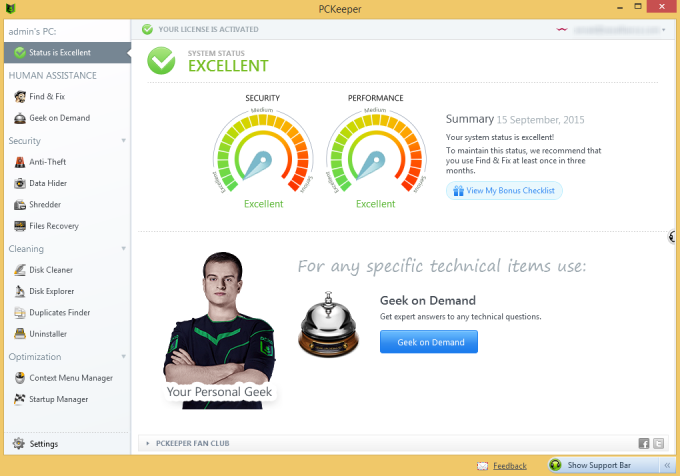 PCKeeper consists of 13 utilities designed to keep the user's personal computer in a top-notch condition. 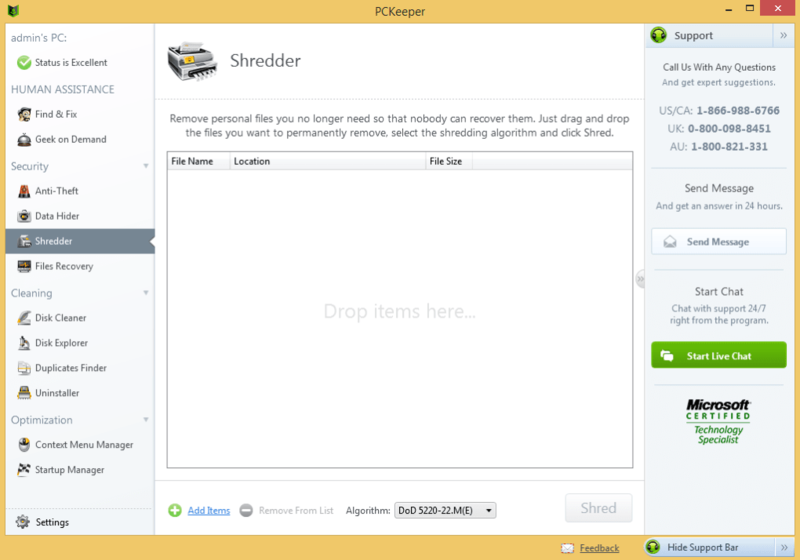 PCKeeper is a legitimate piece of software with a lot of potential.. I found PCKeeper through an advertisement. I was bored, so I decided to check out the program. Upon going to their website, I saw Microsoft Certified Partner plastered all over their website. From that point, I immediately suspected the program as a fake. I downloaded and installed the program. It scanned my computer about the same way IOBit's Advanced SystemCare program would scan my computer. 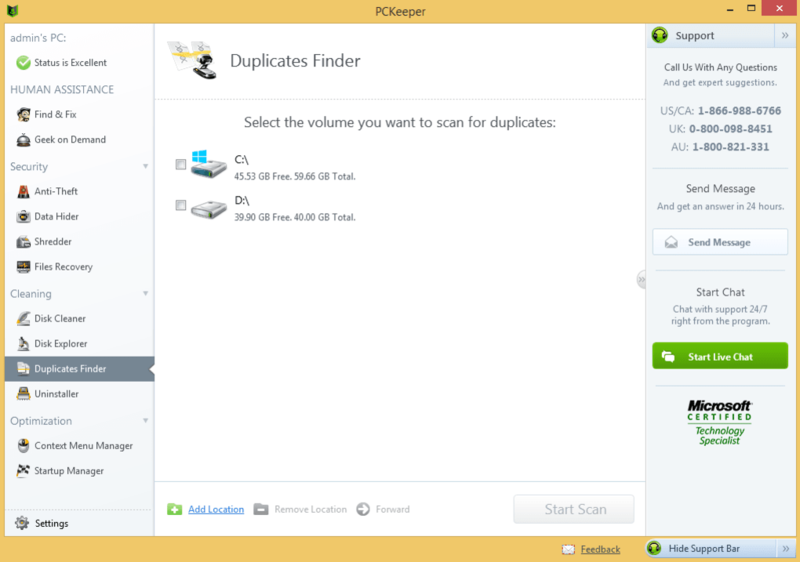 Just to see if it was actually scanning my computer, I ran a scan with Advanced SystemCare alongside PCKeeper. Both programs finished about the same time and got very similar results. 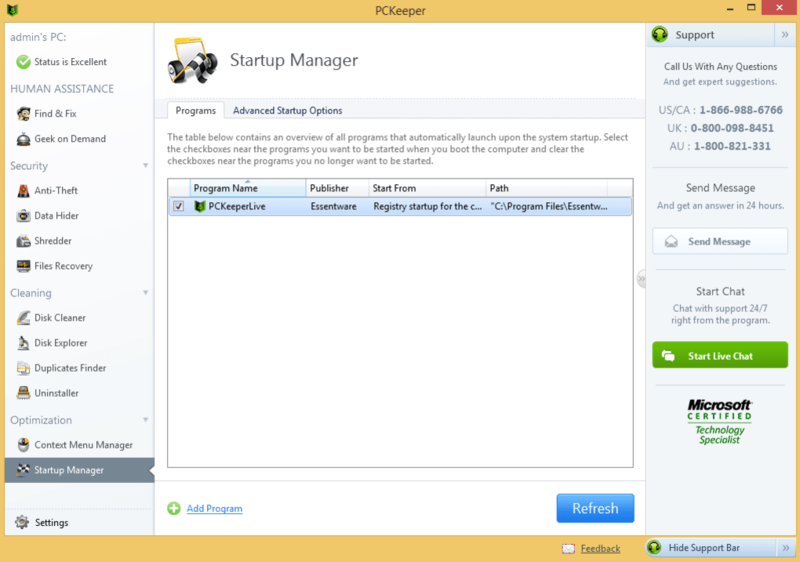 The only thing about PCKeeper is it will only let you fix a few of the problems it found with the demo version. Other than that, I confirmed PCKeeper is a legitimate program that, if you pay for the full version, will most likely be a working program similar to Advanced SystemCare. I did speak to one of their tech support reps Eugene Kim. He was very friendly and helpful. He was very understanding when I told him I was sticking to Advanced SystemCare and was very happy to hear I was going to review PCKeeper. PCKeeper is definitely a legitimate piece of software that has a lot of potential. I don't usually trust software from Microsoft Partners, but this one is definitely legitimate. Highest quality, but pricey.. Very good software, if you can afford it. For your money you can save your time and have a chat with pretty qualified support specialist. As for me - totally worth a try. What do you think about PCKeeper Live? Do you recommend it? Why?